What’s a changeling? Medieval folktales chronicling the changeling extend beyond Britain to include Scandinavian, German, and Spanish cultures. One definition of a changeling is a baby who has elf-like or strange qualities. 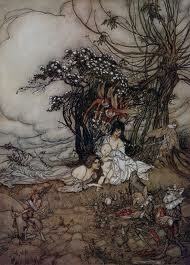 Frequently, the story tells of a child who was abducted by fairies. 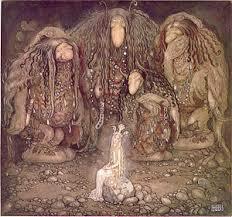 Sometimes the fairies kept the children for themselves, and sometimes they gave them to trolls. In the medieval world, a unbaptised baby was an unprotected baby and could be easily stolen by the devil. The folklore fed parental fears that their babies could be stolen if not careful. Like in Grimm’s Fairy Tales, the forest is the place for unexplained, sinful activities–think of May Day–the day one loses their inhibitions by frolicking in the woods. In literature, if something deviant is going on, it often takes place in the forest where bewitchment happens. Remember in Act II of Shakespeare’s A Midsummer Night’s Dream, the king of the fairies, Oberon, demands his faerie Queen, Titania, to produce a changeling boy? 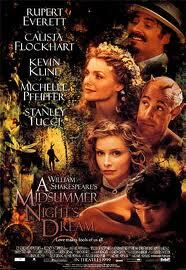 Watch this 1999 adaptation if you haven’t seen the play starring Michelle Pfeiffer, Rupert Everett, Stanley Tucci, and Kevin Kline. It’s wonderful. Check out Chelsea Martin’s article if you are into the history of fairies at http://fairyroom.com/2012/06/superstitious-accounts-of-elf-like-children/ . She suggests in the medieval world, before there was a lexicon to understand the child with special needs, a child who displayed autistic characteristics was touched by a faerie. It makes sense when you think unexplained events in this time period were blamed on witchery; why not fairies? I love the artwork depicting changelings. 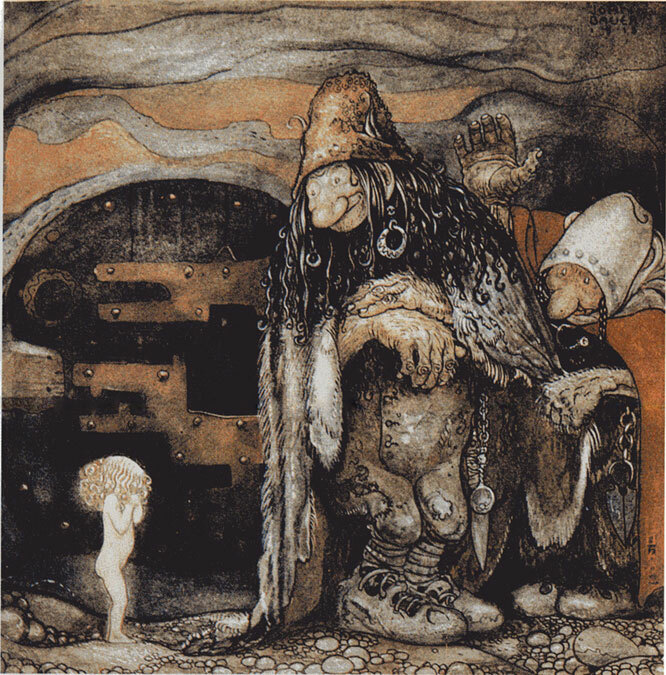 Swedish painter John Bauer and British illustrator Arthur Rackham are two early 20th Century artists whose subjects were of the changeling. 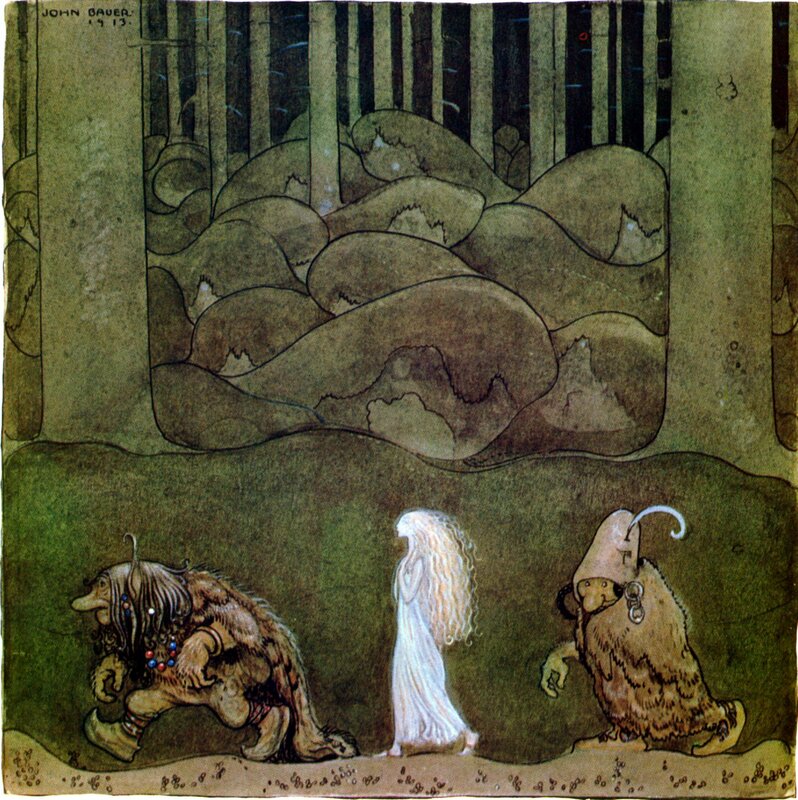 In their art, the child was snatched and lived in the woods with the trolls. 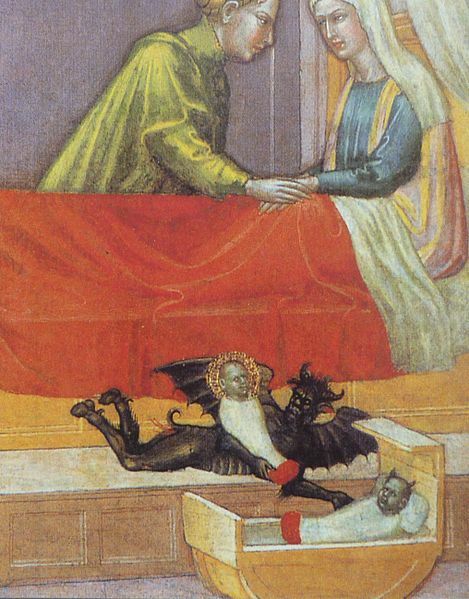 Martino di Bartolomeo, 15th century, a devil swaps a baby. 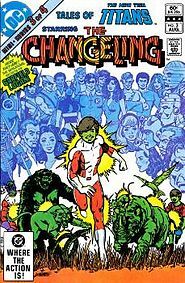 In recent times, the changeling has been a topic of everything from the television series Star Trek (season 2, episode 3) to The Doors song, “The Changeling” and a horror movie with the same name in 1980 starring G. C. Scott. 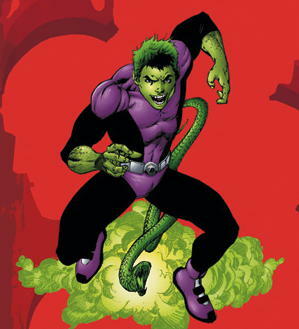 In 1965, DC Comics introduced Beast Boy, a changeling. So, what’s a changeling? The mysterious child with atypical gifts is how I like to think of them. In darker terms, it’s a child who’s been kidnapped and a substitute put in his place. This brings me to the 2008 film about the true events of a woman who’s son was abducted and a substitute put in his place. Come back tomorrow for a review on the Eastwood film, Changeling. This is so cool! I didn’t even know what ‘changeling’ was, I thought you were talking about Angelina Jolie’s film. 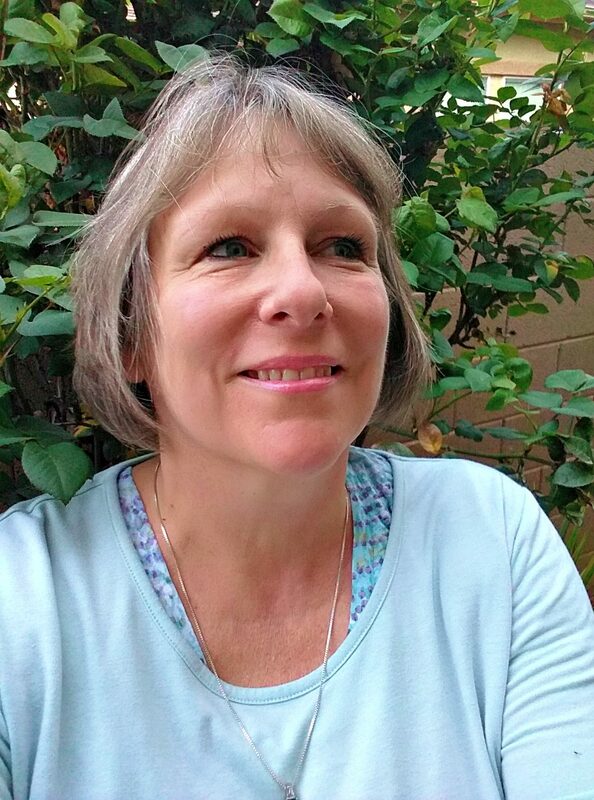 Glad to see you back blogging again Cindy! LOL. I just posted Jolie’s film. Would love your thoughts! It’s biggest flaw is that sub-plots are pasted together so the continuity is off, but I loved so many sections of the film, that I forgive the collage whole. I liked it a lot. Good piece Cindy. I just recently read an interesting article about an anthropologist in Iceland who was recently found after 7 years missing. It’s claimed that she was abdicated by fairies. Damn! That should have read “abducted” LOL. Yeah, I’ll swing by on the link Cindy. People may forget, but fairy tales are not ‘cute stories’ to kids. They are real. I recall how terrifying Hansel and Gretel was to me as a child. And Billy Goat’s Gruff – with that troll under the bridge. And since kids are not ‘closed up’ yet maybe that reality has more substance than we might think. The ancients had many superstitions to be sure – but in other instances we find that a lot of legends and myths held a reality that has escaped us. I like what you have written here – and the illustrations.